The World Needs Genuine Crystal Healers – Are You One of Them? Yes, I understand, it’s quite a statement – is there a shortage of crystal healers out there? Well maybe not exactly, but you see there are many types of healers and many kinds of crystal healers. Let me explain my thinking here. I’ll let you into a little secret here, and I’m really being totally honest. When I first began learning crystal healing, I had already spent more than 15 years as a therapist and healer. I had many diploma certificates to my name – aromatherapy, reflexology, body massage, aura soma colour therapy, reiki 1,2 and 3 plus some beauty therapy certs too – I approached crystal healing with a somewhat ‘oh this will be easy’ attitude but it wasn’t long before the wind was knocked out of my sails on that one! The approach to learning crystal healing was for me, totally different to anything I had ever done. The emphasis was on self nurture, self healing and all the while working very closely with these stones and crystals which seemed to mysteriously and drastically change the way I thought, felt and interacted with the rest of the world. I realised very soon that there was some serious stuff going on here. Profound and trans-formative do not even go halfway to explaining what I experienced. And that’s just it you see. The world of crystals is a mysterious one. 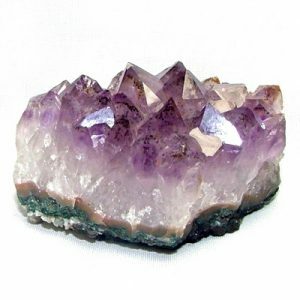 Just like working with plant devas and spirit allies we have to really respect crystal energies. In respecting the crystals we begin to really respect ourselves and our own energies too – deeper levels of consciousness are opened up consistently as we continue to work with them. In this way, sometimes and all too often budding crystal healers may give up or become so astounded and phased by what happens that they just can’t take it in. It is never long before deep insights and deep self healing is revealed to us when we begin working with crystals. Sometimes those insights and the healing they offer up can be a painful and strong process to go through and at other times the connections can be so amazingly joyful and enlightening – your heart will sing! This journey of transformation is absolutely unavoidable if you are really serious about working with crystals. Let’s look at this more deeply, am I putting you off? No? Well, becoming a crystal healer is a powerful process. That’s why I call it a Shamanic Art. To become a Shaman one must look deep into the shadows of oneself, and illuminate all the dark corners. Stuff comes up for you that needs to be accepted, resolved, healed. Its the same with crystal healing. Becoming a real true crystal healer involves transformation and personal healing. It involves becoming more conscious. It involves letting go of the ego and diving deep into the truth of your soul. This journey of transformation is brought about by working with and getting to know many different crystals. For how on Earth can you call yourself a Crystal Healer if you do not implicitly KNOW the energies of your healing tools? Learning prescribed layouts and healing by rote is not the path of the true Crystal Healer. For how can one healing layout possibly have the same effect on two different people if everyone is energetically and in every way – an individual? The truth is, it can’t. It may go half way to doing a good job of re-balancing but it is not, being a true Crystal Healer and using the crystals for their maximum potential. A real Crystal Healer works ‘in the moment’ – is connected energetically with their Client’s energy field and subtle bodies through the healing session and acts from a point of presence intuitively at all times to facilitate profound healing. 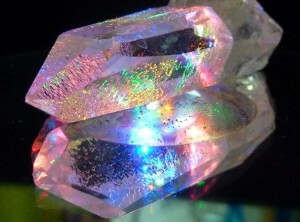 The real Crystal Healer is a pure channel for healing energy and Light and works from the highest Source. So, going back to my onginal statement and why I’m putting out the call. There are many courses on crystal healing, many which do not even involve doing any healing . . . (how does that work?? ) Some that will take just a few days or just a few weeks. My dear husband uncovered such a course the other day that cost just £19 and could be done in two days. This kind of thing makes me sad. How on Earth can anyone learn how to use all those beautiful crystals and apply them safely and confidently as a healer in just two freakin’ days?? It’s just such a kick in the teeth to Mother Earth and Her amazing manifestations of Light – and just so disrespectful to ourselves to imagine that so little work – personal work and study – could allow us to add a new skill to our repertoire. I know that many real Crystal Healers have battled against this for a long time and it gives a bad name to our therapy, our healing art. . .
I’ve trained many crystal healers over the past ten years and I know that each one of them is an amazingly proficient, genuine, confident Crystal Healer. That’s why I created the Crystal Heart Community to help raise awareness of the correct use of crystals. But, you know that this is not enough. That’s why I recently launched my first Online Crystal Healing Practitioner Certificate course. This course is my flagship. It’s my life’s work as a healer. It’s everything that I know through my own profound learning and experience and as a teacher of Crystal Healing over the past ten years. And I can guarantee that no one who enters the doors of this course will leave untouched and transformed into their most beautiful confident healer selves. And because I know that sometimes its a tough journey, I am here with my team to give support and back up to my world wide students from a personal perspective and to the technicalities, do’s and don’ts of Crystal Healing. I’m really proud of my Crystal Healing Practitioner Certificated course which is divided into ten modules each containing between eight and ten lessons. You need to be dedicated to yourself and your own healing and learning journey to take this on. Are you prepared to be a Real Crystal Healer in the world – this world needs healers like you to lift human kind to consciousness. Are you ready? I’ve created an E-book entitled Your Guide to Becoming a Professional Crystal Healing Practitioner which you can download for free by going here. The book answers FAQs and gives you the full in’s and outs of it all including the science behind crystal healing (yes, there is science!) and how you can make it your career. I’m really truly amazed already by the talent and healing journeys my new online students are experiencing. They are realising their potential and innate talent for healing like never before. One more note for you – if you’re willing to come on board and join our team of amazing Crystal Healers – you may like to know that the price will be rising after 2nd June 2017 to truly reflect the immense amount of knowledge and value in the course material. If you want to get it at the current price – act now!